Curiosity, our favorite little Martian space robot that could, has a new line item to add to its resume: weather-robot. With NASA’s STEREO-A spacecraft (which usually monitors solar flares) currently out of range, researchers got to wondering just what Curiosity might be able to tell us about the sun from its vantage point on Mars. So they turned its camera upwards and it turns out it has a pretty good solar view. 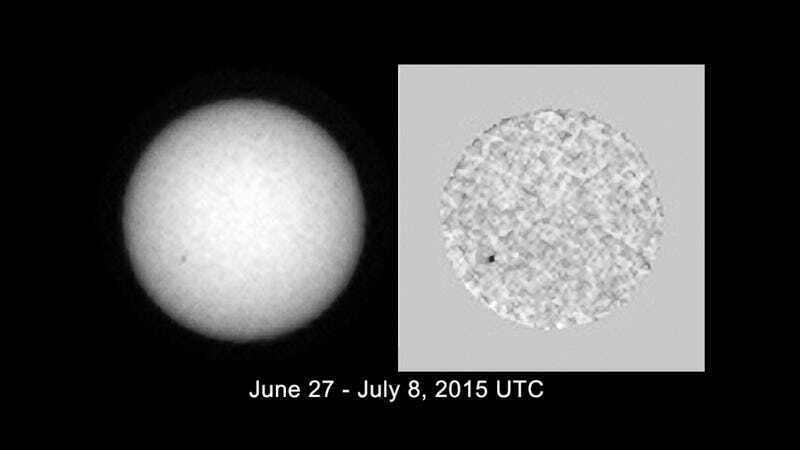 It’s not just a matter of seeing the sun through Curiosity’s eyes, though—it’s also valuable info for space weather predictions, particularly in seeing just how sunspots change. Researchers say that with this better sunspot data, they can do a better job of telling just when and how solar storms will strike.